Knowing your tire pressure just by looking at it. | Quick Pressure, LLC. 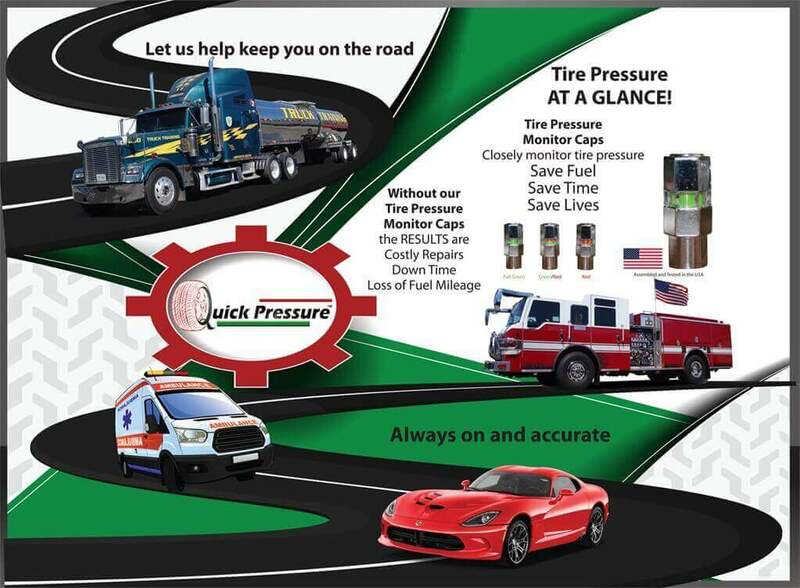 Quick Pressure™ offers a superior tire monitor that meets DOT (Department of Transportation) standards and overcomes problems associated with earlier tire pressure monitor caps such as incompatible materials, breakage, and leakage. After years of research and development, we filed our patent in 2008 and have continuously improved and tested our products. In 2010, we began production of our tire pressure monitor caps in North America. We are committed to supporting local industry. All our tire pressure monitor caps are assembled and tested in the United States. We have excellent relationships with government and distributors, and strive constantly to improve our products and services. Our commitment to quality, accuracy, and improvement is extended to each of our customers.